Khorne doesn’t need your pesky Psychic Powers…but it would sure be nice! 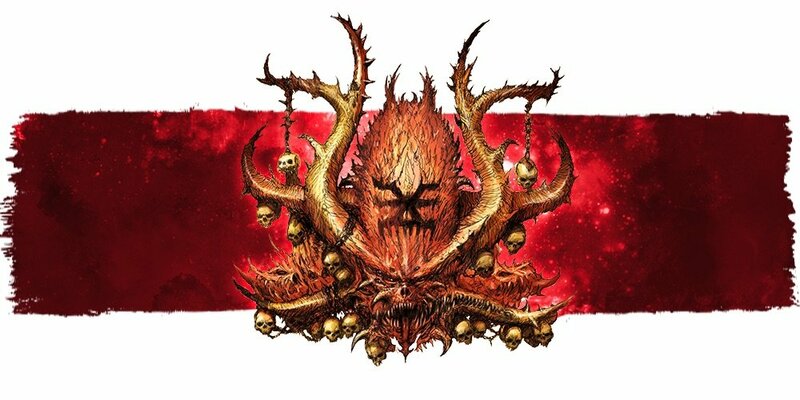 We’ve been messing around with the Chaos Daemons Codex all week on our Twitch Channel and after yesterday’s game, we started talking about how Khorne’s a good army, but it’s single-minded focus on martial combat is good but it’s very one dimensional. The Skull Cannons did get a bump is firepower, but that’s the only unit in the army with any real long range. Couple that with the fact that Khorne skips the the Psychic Phase entirely and, well, you’ve got an army that really just moves and fights. 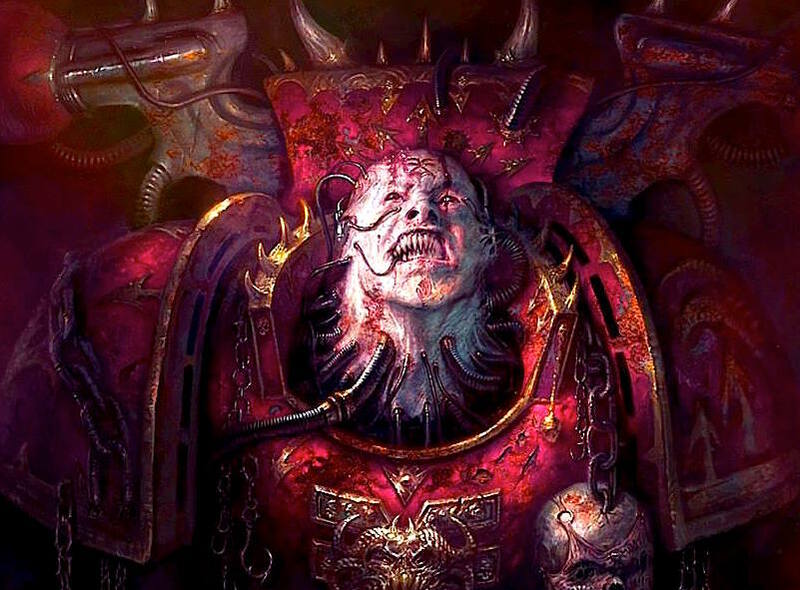 Whoa – calm down there Bloodthirster, I’d never go full heretical and say that Khorne should get psychic powers. Or that the army needs some dedicated fire-support. The book has some options for that already. 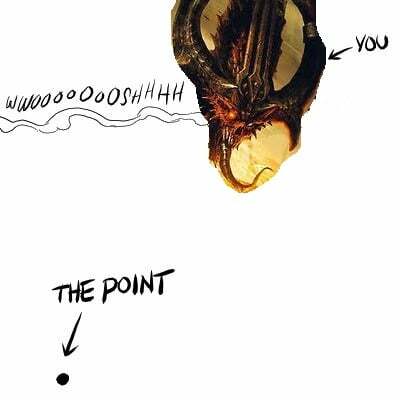 No, what I’m saying is that Khorne in 40k needs to get the benefit of Blessings like their AoS counter-parts. Yeah, 40k could learn a thing from AoS! Both of these “Blessings” are perfect examples of the types of things Khorne needs to have access to because they DON’T have direct access to psychic powers. These powers could be triggered in the shooting phase or the psychic phase – but that should be determined for each power. They aren’t going to win you the game by themselves, but they can setup a pivotal charge or do some damage to an enemy unit at range. Both things that Khorne is really lacking. 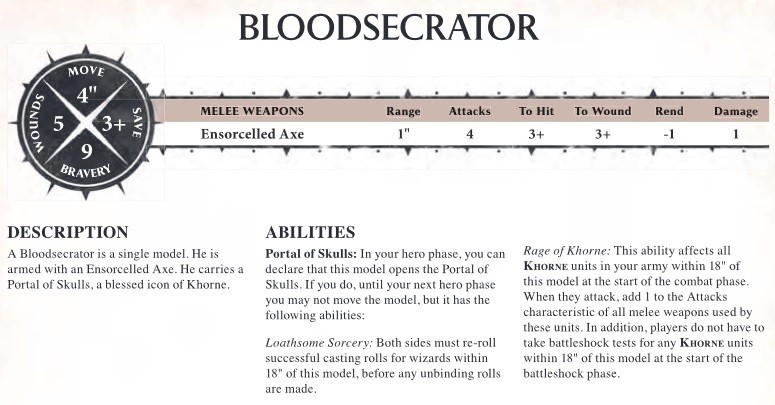 The Bloodsecrator has another pair of powers that would be amazing for Khorne armies in 40k. With some minor tweaks, both of these would fit right in on the 40k Tabletop. 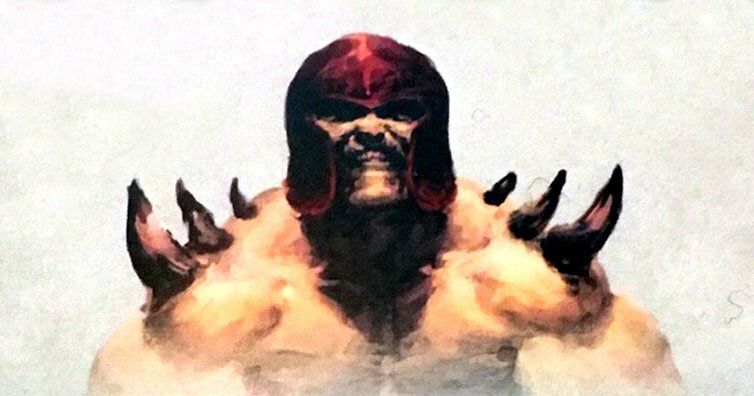 Rage of Khorne would be a particularly welcome addition! Now, before folks start saying “Nah, keep the AoS rules in AoS!” I’d like to point out similar abilities already exist. Have you met Epidemius? 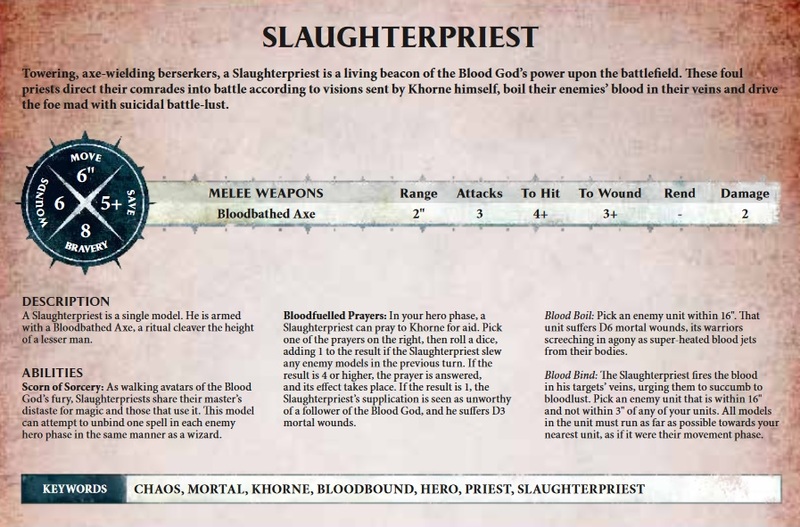 Why is it that Nurgle gets a bonus for what is basically a Kill Tally, and Khorne, who is all about taking skulls, DOESN’T have one? GW, replace “Nurgle” with “Khorne” and “Pestilence” with “Skulls” and BOOM. Oh and I guess Disgustingly Resilient would become something else…But my point still stands! And before anyone says “Can’t you just ally in a CSM Psyker?” Yes. Yes you can. What do you think? Does a lack of Psychic Powers and a ranged fire power warrant Khorne Blessings? Let us know in the comments below!